Nebraska Corn is excited to announce its annual internship program for the 2018-2019 season. Through the last several years, the Nebraska Corn Board and the Nebraska Corn Growers Association have provided real-world experiences and opportunities for college interns. 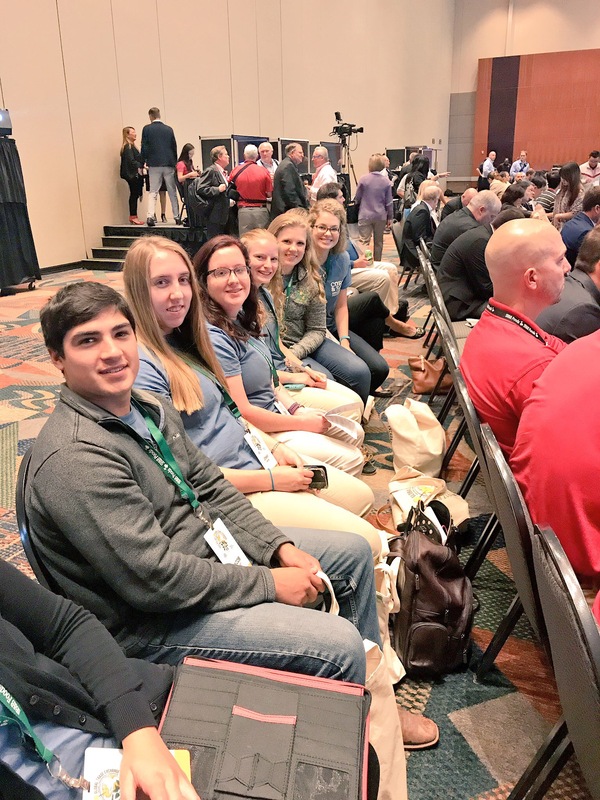 These students work directly with Nebraska Corn’s partners the U.S. Grains Council, the U.S. Meat Export Federation and the National Corn Growers Association. Each year, Nebraska Corn offers seven internship opportunities. Five of those seven are summer internships located outside of the state. 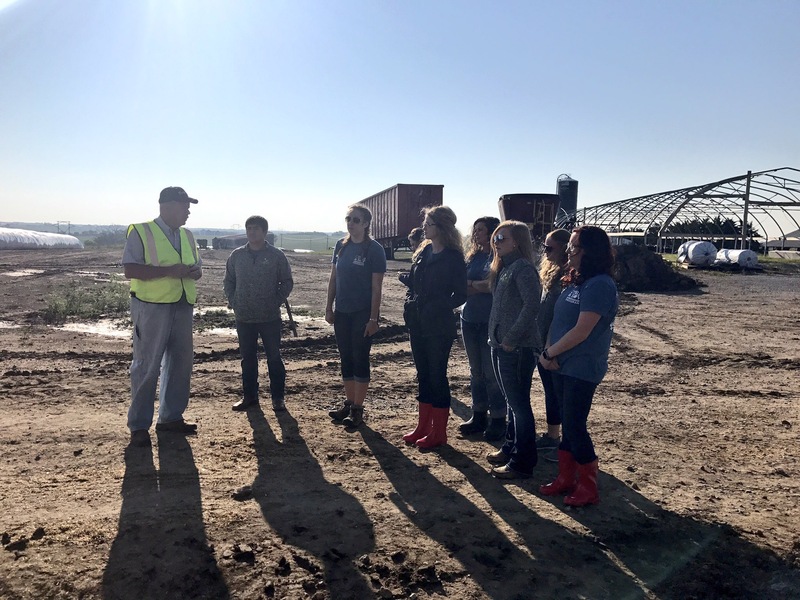 The other two experiences are year-long internships located in the offices of the Nebraska Corn Board and the Nebraska Corn Growers Association. Applications are due Friday, November 3, 2017 by 5:00 p.m. CT. For more information on individual internships or for application details, see the program descriptions below. 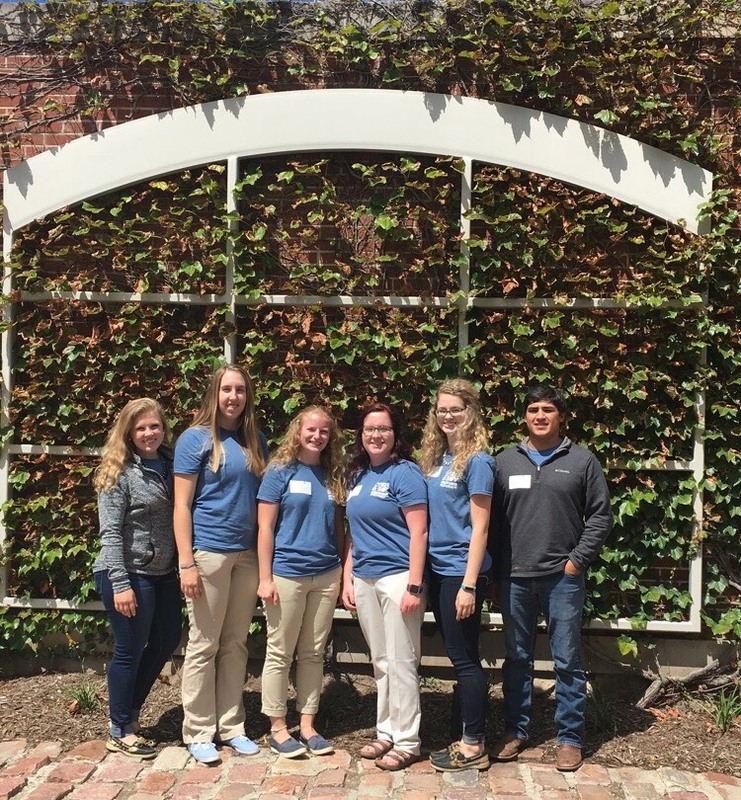 To learn about the past internship experiences, read their blogs on the Nebraska Corn Kernels blog. To close the summer, the Corn and Soy Ambassador Team toured multiple locations over a two-day period, including Union Pacific, Farm Credit Services of America, HyVee, and AgSource Laboratories. Our first stop was the U.S. Soy Global Trade Exchange & Midwest Specialty Grains Conference at Omaha’s CenturyLink Center where 50+ countries were represented. Industry leaders Jim Miller, U.S. Soybean Export Council Chair, and Jason Hafemeister with the United States Department of Agriculture shared important key points about promoting rural communities while also providing a quality, safe and reliable food source for the world’s growing population. After learning more about shipping logistics in regard to soy and grain exports, our tour guides at the Union Pacific Harriman Dispatch Center explained the process of transporting agricultural commodities across the country. A large staff ensures that every train is monitored and also has the responsibility of staying calm during emergency situations that may occur at any moment. Dedicated employees work through holidays, as the work never stops because the action on railroads never stops. We also visited a large staff at the Farm Credit Services Headquarters in Omaha that has a constant buzz, with 48 locations across Iowa, Nebraska, South Dakota, Wyoming and Kansas. From this experience, my biggest overall takeaway was the recurring theme in agriculture-related careers, which is the want to go above and beyond. Growing up on my family’s farm where we raise cattle and grow corn and soybeans, I witnessed my dad’s grit firsthand, as he placed the care for his crops and livestock before himself. Providing food for consumers is no simple task, but the devotion to long hours with few vacations is more than just a career. This passion was also reflected by the daily work of Cliff, who says the “girls” at Prairie Land Dairy are always taken care of first. The 1,500 cows at the dairy receive the highest standard of treatment every day of the year, as they live in shaded open-air sheds with fans that make temperature and pestering flies easily controllable. Each cow also has an ankle bracelet that is monitored to determine when an animal may be running a fever. Just as the dairy has adopted technology to benefit each animal, AgSource Labs and HyVee have discovered efficient methods of benefitting customers. At AgSource Labs, malt mixers used on samples and rooms that dry soils at 105˚F are only two tools that make it possible to send results to clients across the country, as well as overseas as soon as possible. While technology has largely impacted the 24-hour turnaround from the laboratories, the Registered Dietician at HyVee also explained to us the value of time, as there are only eight hours between harvesting and canning foods. Her responsibility is to help those with special diets find a meal plan and customers, in general, make healthy decisions. While there is a price difference, she emphasized how there is no nutritional difference between organic and non-organic foods. Each stop on the tour represented a different part of the agriculture industry, but the values of people in this industry remain the same. The passion individuals reflect in their work makes it more than just a job–it is a calling. Relationships with people who share the same passions are what makes the agriculture field unique. A sincere thank you is due to the Nebraska Corn and Soy Growers Associations and Boards for another educational experience on the Corn and Soy Ambassador Team that has solidified my passion for a future career in Agricultural Communications.